Is it possible to use api between JotForm and FedEx or UPS to create shipping labels when a form is submitted without a website? If so, how can I do this? I am new to api so please explain. Perhaps you were meaning to ask if "JotForm have integration available to FedEX or UPS" ? Using the JotForm API, does not necessarily require that you have your own website. If your read the JotForm API Documentation, in the Getting Started guide, you will see it did not even mentioned the need for your own website. Can you please confirm that it integration to FedEX or UPS was probably what you were after? Yes that is what I want; JotForm being integrated into FedEx or UPS using api. Specifically integrating this, http://www.ups.com/content/us/en/bussol/browse/returns_on_the_web.html, into JotForm. The URL link you provided returned a page not found error. 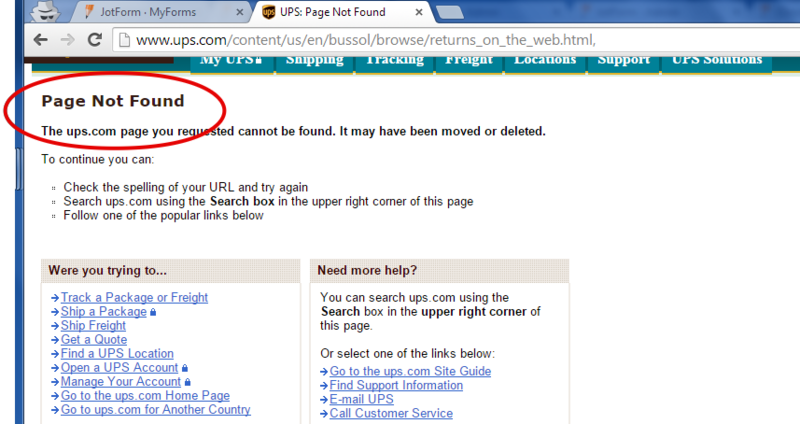 so I am not sure yet which specifically in UPS you were referring to. But, I also would like you to know that we currently do not have and existing integration to UPS. If ever we are to request a feature for the integration, we need to know more details about it and at the same time there should be more users that really need such integration. From your previous details, I understand that you wanted to create shipping labels. Can you describe more how it was suppose to be? Perhaps the existing shipping feature will work on what you need? Please inform us of you thought on this. That is the correct link. To my understanding api can be integrated into any platform as long as they support api correct? Basically when someone fills out my JotForm form the information is sent to the UPS api so that it creates a return shipping label and sends it to the customer. The shipping via PayPal won't work at all because my business is not involved with customers paying us for products. Thank you for providing us more info. I was now able to open the link you mentioned to the UPS API and learned with more details. Allow me sometime to review and understand how go about using the UPS API with JotForm. We will update you here. XML may be a solution but I don't know if jotform allows, or even, supports xml. Unfortunately JotForm does not support submission in XML format. I can see that in the UPS API documentation there is a requirement for XML code. So I don't think that our API is what you need for the UPS API to create your shipping label. What I think you need is Webhook instead. As you can write/post the JotForm submission data using Webhook into an XML format. But you will have to code the XML output structure. 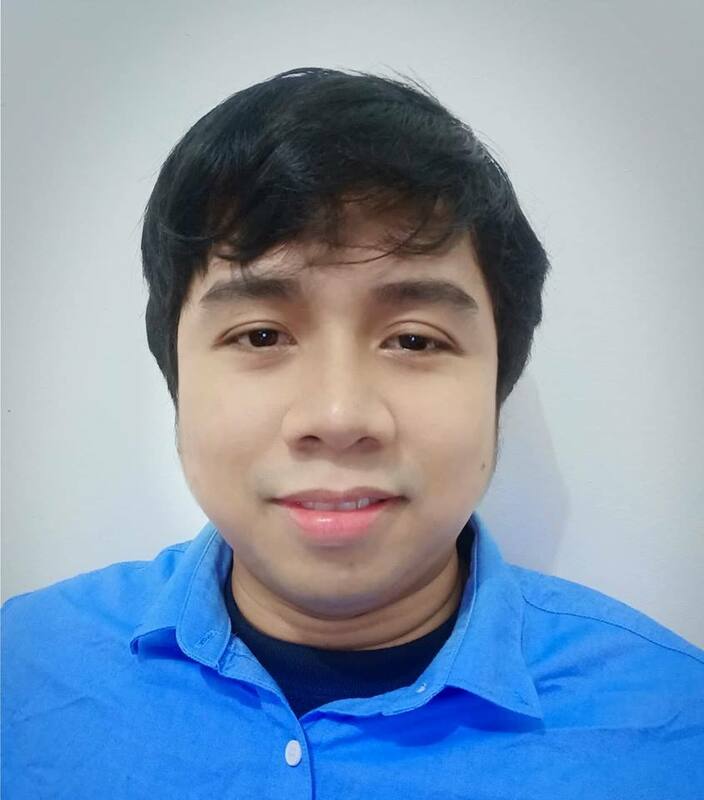 I found a similar application here, which I should help on your project. Could you explain how Webhook would work with UPS and FedEx? Webhooks API support is a functionality that can be used by 3rd party apps who would like to receive submission data from JotForm.